The home in Willow, NY has been in my paternal family for 5 generations. Five. 5. Yes, five. Since I was a little girl it has been a place of memories, respite, and family connection. I remember throughout my childhood watching my grandmother cooking at the stove wearing her pearl earrings, Lily skirt and apron and thinking I wanted to be just like her when I grew up. She was sophisticated and warm, not conceited and stuffy. 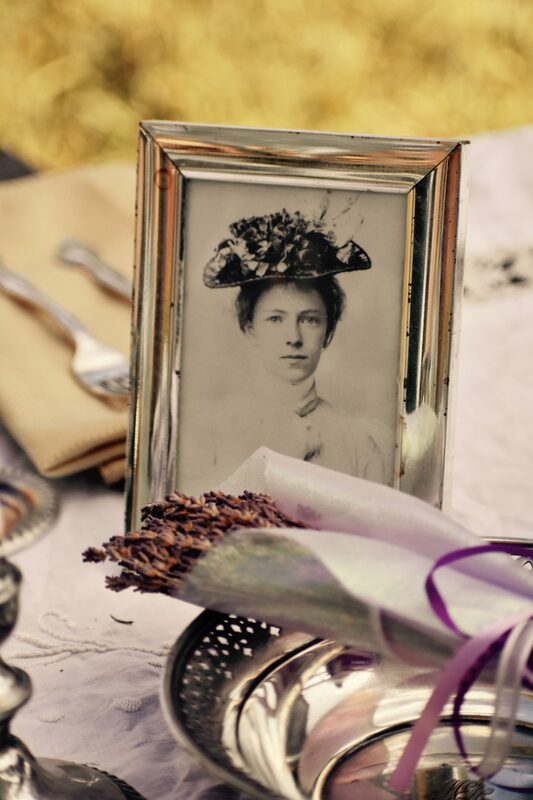 I loved her parties and outings and of course her dinners on the warmed Blue Willow plates. The plates from England that proudly displayed the willow tree which symbolized for us the home in Willow, NY. So many memories….I can go back in time and immediately feel like I am sitting there eating grapefruit halves with the little spoons with the sharp edges and watching my grandfather section out each piece and eat it with his toast and marmalade jelly. They were the only ones on my father’s side of the family who made me feel safe. Loved. Protected. When they died I lost a really important connection. My father and I had never been close and my memories were less than favorable but I tried to have some kind of a relationship with him over the years. Kenny (my husband) and I started going to Willow when we were newlyweds and continued to visit during the the summers. We enjoyed so many walks along the creek and drives through the Catskill Mountains. Fresh mountain air. A home full of heritage and a place that connected me to my grandparents and those before them. As our children were growing up, they all made memories in Willow as well. Tubing, catching snakes, playing in the field, planting flowers….it was their favorite place to go every summer. Throughout elementary school our 2 older children wrote essays and papers about Willow any time they could fit it into a writing prompt. My oldest son wrote a heart filled paper in high school about his summer memories that brought his teacher to tears. To them it was the most amazing place on earth. My father never really interacted with us on these trips and when he did he was often condescending and lashed out but for the sake of the good memories, I tried to smooth things over and ignore the harshness. One trip years ago I could no longer overlook how he treated us and there was a painful discussion where he looked at me and said, “I don’t even feel like you are my daughter.” I fell on the ground into the fetal position and have very few memories of that night except getting up and running down a dark road sobbing while my husband ran behind me. The next day we left the house where we had put down deep roots and never went back. I fell into a deep depression after that trip and began intensive counseling. I had so much healing to do. So much baggage and brokenness. At times I felt the pain would never go away….that it would fester inside me forever. But with a lot of prayer and counsel, the darkness began to lift and a slow process of mending began. It finally started to feel less like a life sentence and more like a part of my story that was making me stronger, braver, and more compassionate toward other people. Fast forward to 3 months ago….. I was at a yard sale and a man was selling the same Blue Willow plates I remembered from all those summers ago. The price was right and I bought them. I put them on a shelf in the garage and glanced at them occasionally and usually was flooded with feelings of heartbreak and loss. I could not even bring them in the house because of the painful reminder of the fractured family tree. Even though I had healed a lot, the wounds had left scars and they had left lingering pain. A few weeks ago I finally picked one of the plates off the shelf as I was headed to Madison for a Light Breaks Through conference. I decided to use one for a demonstration. I honestly wasn’t entirely sure how I would work it in to my talk but my friend had suggested that I could make the plates into a mosaic so it had me thinking about the mosaic of our lives. While I was speaking at the conference about the pain and loss I had experienced, I threw the plate down and watched it shatter into many pieces. There was a kind of freedom watching the plate break- as it represented so much hurt and a letting go of what once was. …our lives may have shattered pieces but when put together they can make the most beautiful mosaic. The pieces will still be broken and the edges sharp. They can never be made back into the original piece but they can be arranged into something that is uniquely stunning. So when I got home from the conference I took those broken pieces and made my first mosaic. Pieces of the plate, glass beads and grout and a wonderful friend to guide me through the process. I could feel God healing me from the inside out. I just prayed that I could make peace with the pieces. Could be ok with the reality. A few days later I picked up my mosaic from my friend and I was so proud! I sat it in the kitchen and before I knew it I had knocked it over and it broke into even more pieces all over the floor. The broken pieces of the mosaic were broken still. WHAT? The look on my husband’s face when it happened was priceless. His eyes widened and he immediately said, “ARE YOU OK?” And I was. God had already been working. The symbolism of the pieces no longer defined me or my emotions. The work had been done in the creating. A few days after the dropping of the mosaic I was at another yard sale (my total happy place picking through other people’s throw aways) and found a box and on top was a Blue Willow plate made into a clock. Underneath it was an entire set of Willow dishes neatly wrapped one by one. I unveiled the first one and wrapped it back up as quickly as possible and headed to put it in my pile of yard sale goodies. I was so ecstatic and walking so fast the lady stopped me because she thought I was stealing them. My reaction to the dishes this time was total nostalgia. Great memories of hammocks and fireflies. My kids swimming in the creeks and having my friend Kristen and her family over for hat parties and collecting rocks. God had done the work. I was becoming more free from the pain and the rejection. The dishes now remind me of freshly snapped green beans and my grandmother’s plates of cookies. The plates are currently in the dishwasher and heading to my shelves. They will be eaten on until my precious family breaks them all and I find another set at a yard sale. God is setting me free. I find joy again- embracing the good memories while I realize how I was changed for the better by the harsh edges of the broken places and the loss and grief I have felt. There is a bush we have that grows flowers that change colors over 3 days. The first day is brilliant purple and then the next is lavender and finally white. I went to the back porch to write when I noticed the bush and was amazed by the symbolism. The original plate and the pieces of the past. The brilliant purple of the flowers represents the beginning. The process has started. The mosaic pieces are the beginning of the healing and the bright purple is fading into lavender. The new plate and the purifying that God has done. White. Cleansing. There will be more hurt and disappointment but now I will approach it differently. I will be able to come at it knowing I am not defined by the rejection and the abandonment. Only God. Only with loved ones around me supporting me while it took place. Only with a therapist who walked with through my darkest days. Only with a husband who has listened to years of sadness and gallons of tears shed. Only with children who miss Willow terribly but have come to understand. Maybe we will get to go back one day. Maybe there will be restoration and relationship. Maybe there will be change. That would be amazing…..but I have to say no matter what…..it is well with my soul.